Port Said is the meeting point between the Suez Canal and the Mediterranean Sea, a city in the north of Egypt. With over 570,000 residents, Port Said offers exotic tastes of the east, grand architecture and an intriguing sense of mysticism. Top tourist attractions include trips down the Suez Canal, Port Said Lighthouse and the Military Museum. Cheap flights to Port Said are now available, so get ready to be intrigued by this fascinating city! Port Said is home to Port Said Airport (PSD), which is located on a scenic 1-hour drive from the city centre. Try your hand at bargaining (it’s expected!) 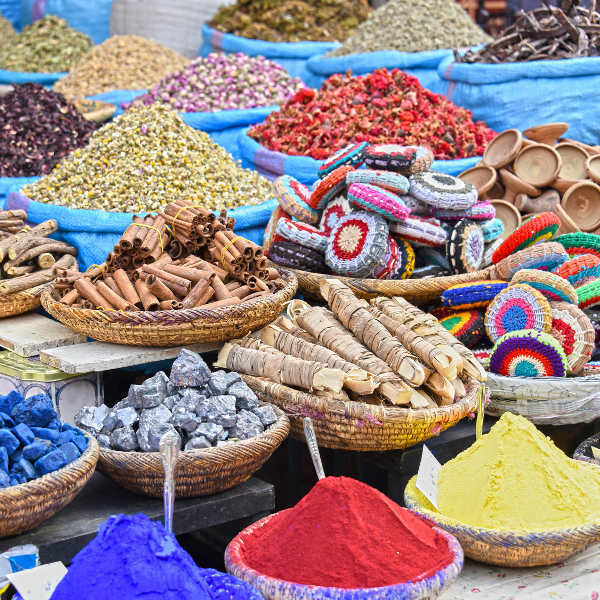 and leave with delectable sweet treats and hand-carved souvenirs from Port Said Souk. 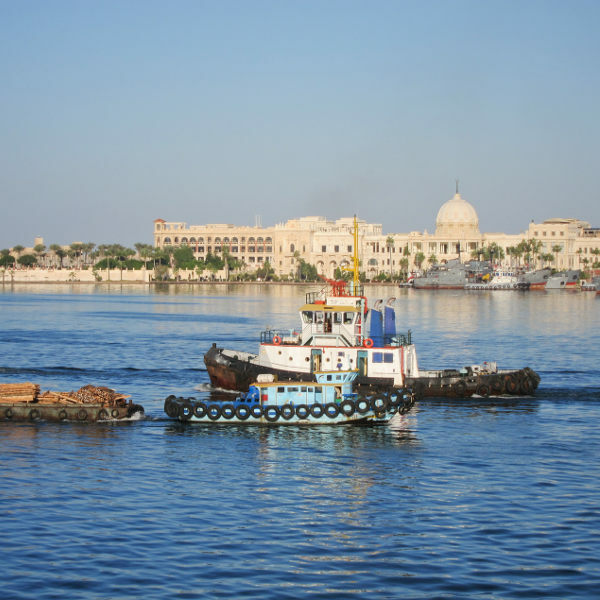 Take a ferry to Port Fuad for the afternoon, or a boat down the Suez Canal on a sunny day. Enjoy the views with the sea air in your hair. 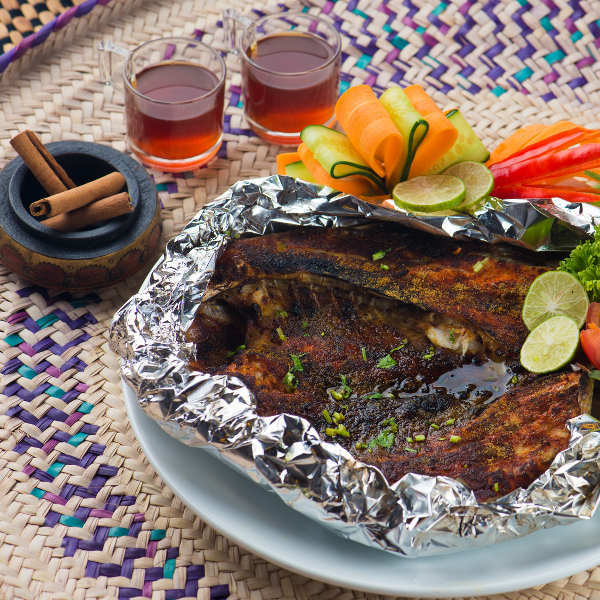 The city of Port Said has some of the most divine seafood, caught fresh daily from the harbour. Try El Borg for the tastiest fried fish and rice. The weather in Port Said is influenced by the desert, so it can get quite hot and dry in the city. The best time to visit would have to be between December and February, as this is when it is coolest. Unfortunately, it is also peak tourist season. During this time you can enjoy boat trips down the Suez Canal and visits to the museums and local markets. It is hottest from June to August; but if you’re willing to put up with a bit of heat then you’ll be sure to find more affordable accommodation and flights to Port Said. Once known as the Egyptian city to indulge in some guilty pleasures, the city of Port Said has had a change of heart and is now a bustling seaport for travellers passing through the Suez Canal. The sea-facing boulevard offers astounding views of the canal and offers a close look at the vast amount of traffic that this port sees. A walk around the city will land you at numerous markets, but for an authentic experience, you should head over to the Souk of Port Said. Here you will be invited to partake in the age-old tradition of bartering to secure your goods. Start too low and you might insult the vendor, start too high and he’ll render you hopeless at the game! Port Said shares the canal with its sister-city, Port Fuad. Visitors can hop on a free ferry across and enjoy beautiful architecture on the other side, and take a tour of The Grand Mosque of Port Fuad. Compare multiple airlines and book cheap flights to Port Said with Travelstart! The crime rate in Egypt in general over the last few years has been quite low. Port Said is a busy metropolis, so when travelling, it is important to be aware of your surroundings at all times. The city is quite safe, but do make sure to not walk alone after dark, and to be aware of beggars in the downtown area. It is always a good idea to get your regular vaccines up to date before you travel overseas. For your trip to Egypt, it is recommended that you get a shot for typhoid and hepatitis A. Depending on your plans in the country, you might also be interested in getting a shot for hepatitis B, rabies and yellow fever. Speak to your doctor and allow him/her to advise you on the subject.